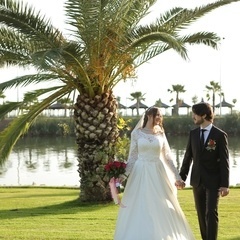 Ms. Lana from Lana Wedding Planner company sent us on November 1th enquire for civil marriage and wedding in Antalya for Ekaterina and Mohamed. 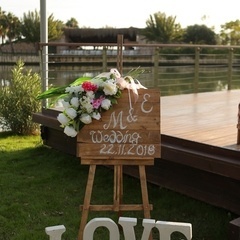 We negotiated with our hotel partner Gloria Golf Resort for date November 22th and also confirmed wedding preparation plan, arranged hotel accommodation and venue for the ceremony. 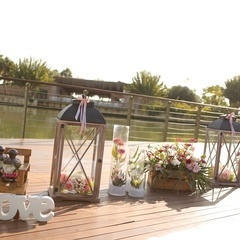 Our team for the short time prepared everything for conducting dream wedding. Ekaterina is a very beautiful girl and gentle as Barbie, who lives in Dubai with her family. While preparing documents we saw that Ekaterina, who is the only daughter of Mr. Yuri and her lovely mother Elena, is 20 years old. 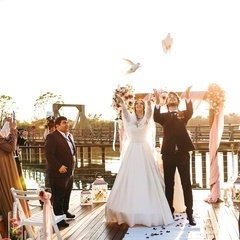 Groom Mohamed who is also only one child of Mr. Nouri and Mrs. Manar is also 20 years old. 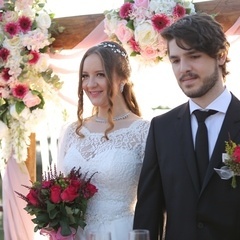 This wedding was very important as it was the first special date for these two families. I and my team have information about this bit responsibility and spend all our dedication. Our partner Gloria Golf Resort supported us and we appreciate them for it. 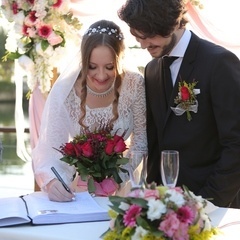 We also want to express our gratitude to Buyukshehir municipality in Antalya on behalf of wedding guests and our company for support during the preparation and registration of marriage documents for groom Mohamed. 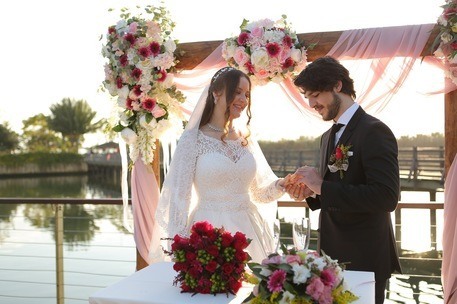 Attention paid to foreign couples by official Turkish authorities serving to development of wedding tourism and provides Antalya the name of world brand in wedding tourism sphere. 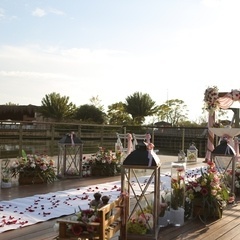 We prepared special decoration for a marriage ceremony that was on the platform near the river in Gloria Golf Resort in paradise Antalya. Forest, green coast and the river can be seen on that venue. 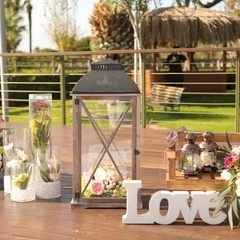 We decorated the venue with wooden decorations, wooden lanterns and live colorful flowers. 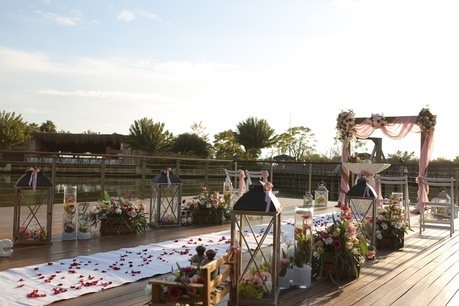 The marriage ceremony of these two young people, staying on the entrance of new life, was made in this paradise. 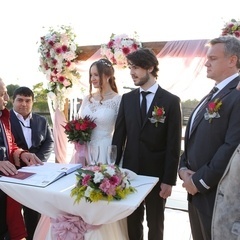 Marriage certificate which is international, multi-language and valid in all over the world was given to newlyweds. We have time to talk to the bride’s mother Elena. Elena is the perfect mom, it was impossible not to be impressed by her excitement. She saw all our preparations during all day and was so happy with the fulfillment of all the desires of her daughter that she often hugged me expressing happiness. To be honest, we even cried several times. Because I am also a mother and I understand her very well. 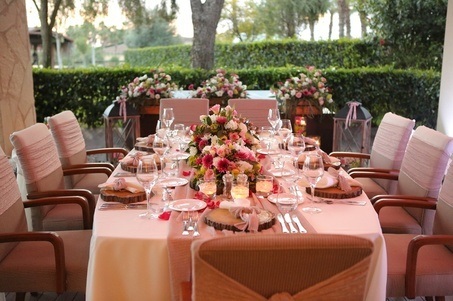 Wedding dinner was prepared on the villa’s outdoor area. 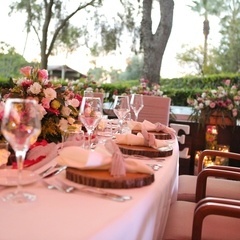 Wedding table was prepared for 6 guests: bride and groom and their parents. At last moment friends of groom’s father, Mr. Nouri came from Istanbul to the marriage ceremony. Such surprise made us and hotel panic a little, but guests were very happy. Their happiness is our happiness. 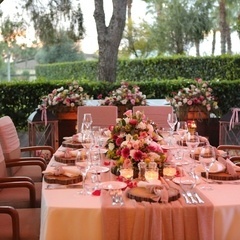 Immediately we set additional decoration for a table for three guests, the hotel’s kitchen also increased the number of meals for three guests. 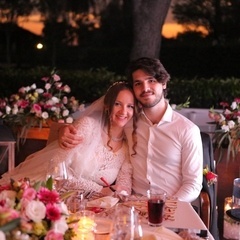 During wedding dinner, guests were listening songs of Turkish pop-star Tarkan and start of arabesque music Ibrahim Tatlises. It is impossible not impressed nice people who love Turkey and Turkish artists. 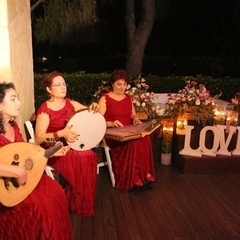 Three artists are known “Antalya golden girls” played famous Istanbul melodies and sang classic Turkish pop songs for guests. This wonderful family has excellent wedding eve, entertaining with other and dancing. My team and I were happy seeing their happiness. As always the end of the evening came and unfortunately came time to say goodbye. 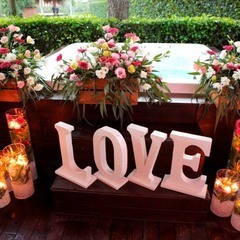 After a wonderful wedding, parting with some families and couples pass emotionally. At first, we said goodbye to Catherine, her gratitude, happiness, and satisfaction in her eyes impressed me a lot. 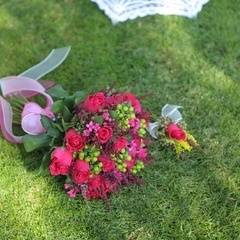 The most difficult was a farewell to Mrs. Elena. The happiness of such a tender and emotional mother as Elena touched me very much. Such parting filled with emotions at the end of the evening fill our soul and the world becomes smaller, and friendship erases the distance. Dear Lana, we are very grateful that you introduced us to such wonderful people and for your comment. Dearest Gulseren, good evening! Thank you very much for the link for photos as well as this precious email. I am so happy that we met and established relations. Thank you for all your help, support and assistance, you are an amazing partner with unbelievable connections, I appreciate so much that you used your personal connections to help our client. Thank you for being so flexible in making our client happy and in making the day of their daughter one of the best in their life. I am really so so happy to have you as our partner and I am very proud of it. Thank you once again and hope to see you very soon in Turkey. Thank you in advance & have a lovely day!